The classic film starring Audrey Hepburn is featured on this awesome tote! 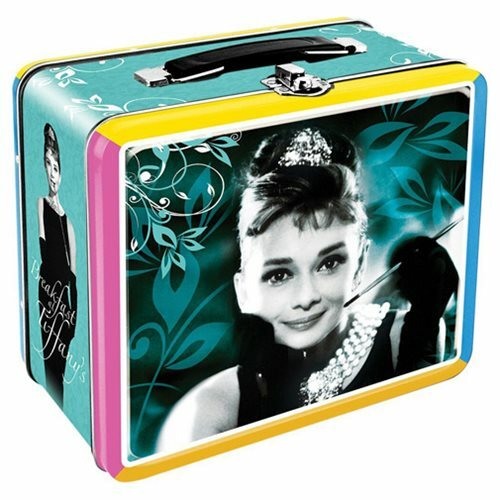 This Breakfast at Tiffany's Large Fun Box Tin Tote measures about 8-inches wide x 7-inches tall x 4-inches deep. This tote is perfect for Breakfast at Tiffany's fans of all ages and is perfect for food and whatever else you can fit in it. Ages 14 and up.